See my 6 minute demo, description & review video of mine below. 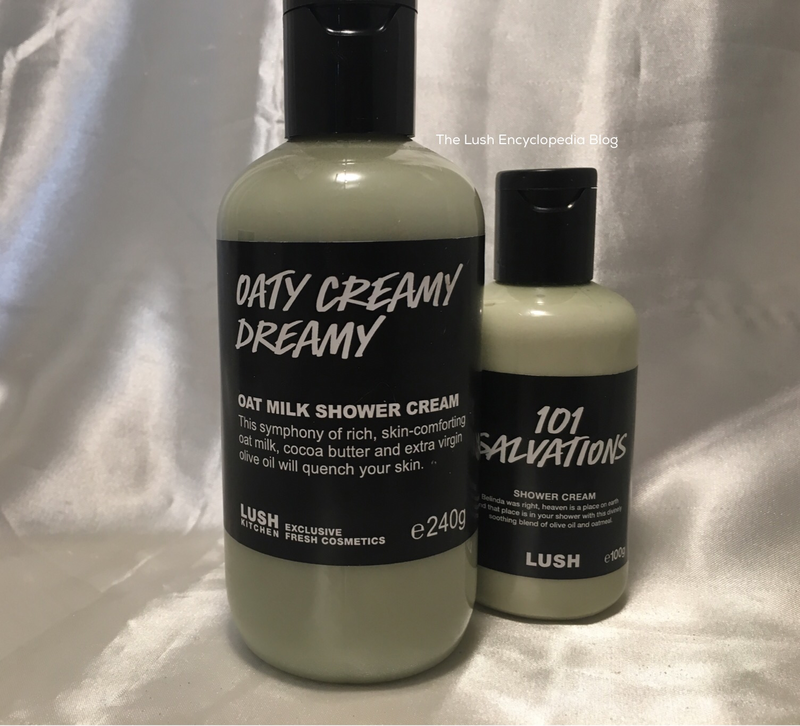 A shower cream which shares the popular Lush ‘Dream Cream’ body lotion scent and ingredients. With calming lavender, and Chamomile, and calming oatmilk. 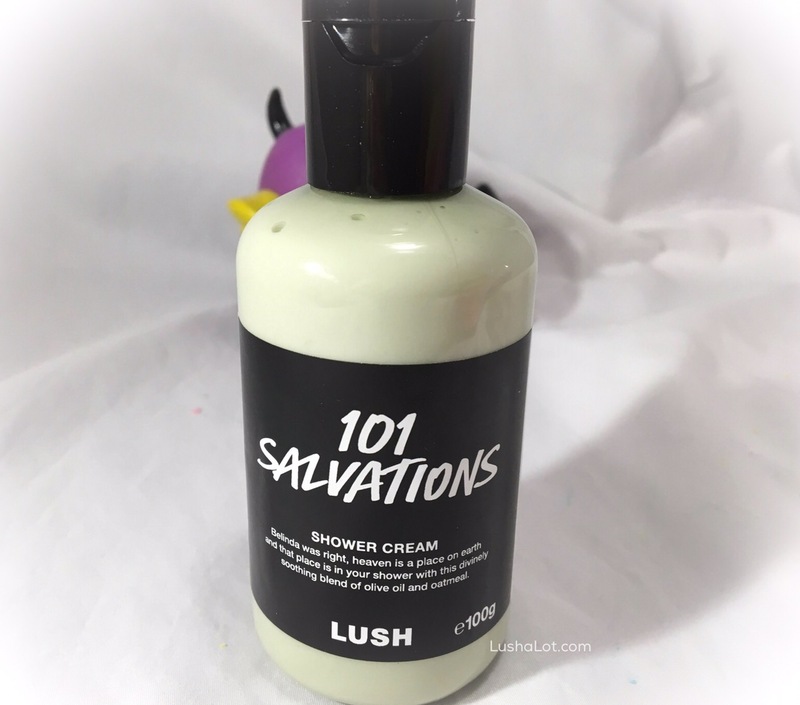 It has more moisturizing properties than the typical shower gels that Lush has always sold. As with a few of their shower ‘creams’ this has Cocoa butter and olive oil. Same soothing ingredients as their lotion below for dry, cracked, itchy, red, sensitive skin. Posted on April 4, 2017 by Lushalot	• This entry was posted in Shower Gels, Uncategorized and tagged 101 salvations. Bookmark the permalink.